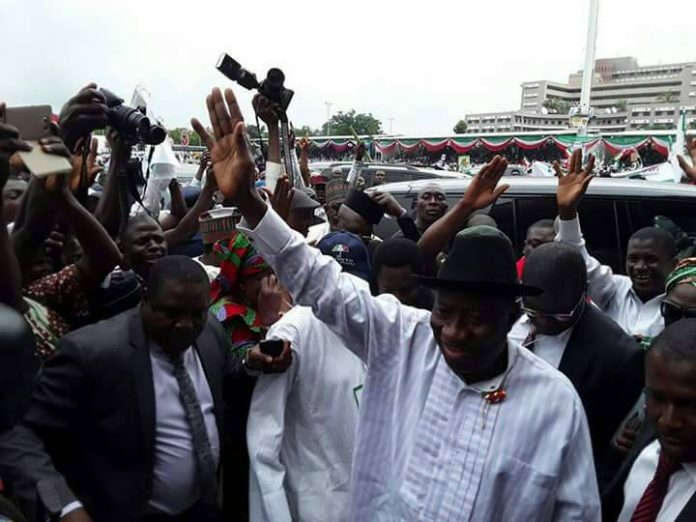 Former President Goodluck Jonathan, on Wednesday, took the National Chairman of the All Progressives Congress (APC), Adams Oshiomhole, to the cleaners. To Jonathan, the former Edo State governor is suffering from multiple personality syndrome, following his allegation that vote-buying was started by the former president. The APC boss made the assertion during a television interview. 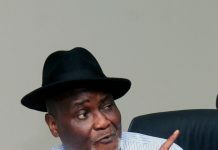 But in his response, Jonathan in a statement in Abuja, said that even though he was not aware of why the former Edo State Governor made the misleading remark, it may not be unconnected with the pressure he is going through in his new office. Citing what he called Oshiomhole’s recent flip-flops such as praising members of his party one day and criticizing them the next, Jonathan observed that the party boss was desperate. He said vote buying phenomenon became prominent during the 2016 Edo State governorship election, one year after he left office as president. The former president also recalled that Oshiomhole was one of those who praised him over the numerous credible elections his government conducted including the 2011 and 2015 general elections as well as Anambra, Ekiti, Ondo and Edo gubernatorial elections. Signed by Ikechukwu Eze, his Media Adviser, the statement reads: “We really do not know the real reason for this misleading falsehood, at this point in time. However, we can only guess that Mr Oshiomhole, who is currently operating under tremendous stress in the bid to steady the already floundering ship of his administration as the new leader of his party, may have got himself entangled in a voyage of tactless desperation. “Not only is he content on squabbling with members of the opposition, we note the self destructive tendencies of Oshiomhole who is locked in a feud with members of his own party including the Minister of Labour, Chris Ngige, and a host of APC Governors. It appears that Mr Oshiomhole’s psychological strain may have reached boiling point. The statement pointed out the wave of commendation for Jonathan’s electoral conduct which it said has continued long after he had left office including over the 2015 general election which he said Oshiomhole singled out for condemnation. According to the former President, “What also changed was that Oshiomhole’s emergence as the national chairman of APC and the burden of ‘delivering results to his party’, has pushed him into exporting and escalating this vote buying dexterity to other states, as recently witnessed in Ekiti governorship poll.